Critics say Apple needs to build more affordable iPhones. The XR is a start. Apple CEO Tim Cook has repeatedly said the company would rather make the best smartphone than the cheapest. 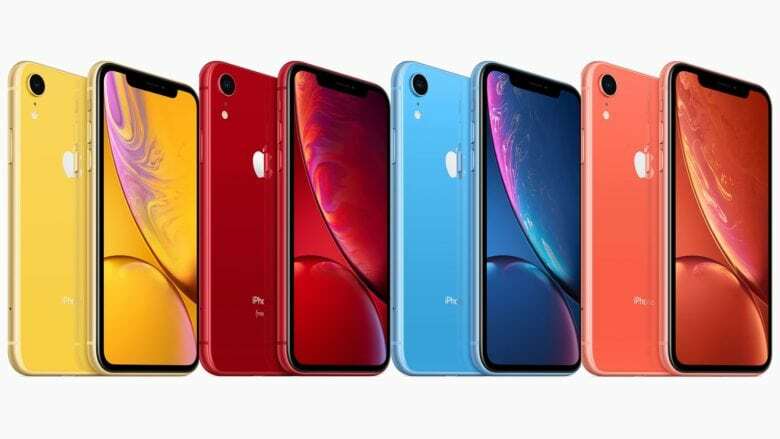 Yet, Apple’s budget model iPhone XR sold more in the U.S. during the fiscal quarter that ended in December than the iPhone XS and XS Max combined, according to new research. The findings from Consumer Intelligence Research Partners (CIRP) confirms what many other market analysts about the pace of iPhone XR sales. The iPhone XR accounted for 39 percent of all iPhone sales between October and December, compared to 26 percent of the iPhone XS and XS Max combined. The CIRP survey – its finding reported this morning by the smartphone news site Pocketnow – also showed that the iPhone XR sold almost as well as the iPhone 8 and iPhone 8 Plus did for the same quarter of the previous year. The iPhone XR has most of the same features as its pricier siblings, including the A12 Bionic chip with next-generation neural engine. And while it doesn’t have as high a resolution display or a dual camera system, it has the best battery life of all iPhones. While it retails full price for $749, a rare iPhone upgrade program has made it even cheaper. Apple has shifted strategies to combat alarmingly weak sales growth as smartphone sales worldwide have peaked. Apple, until recently, was able to maintain steadily growing profits by changing more. CIRP surveyed 500 U.S. customers who purchased an Apple device during the final fiscal quarter of 2018.